The S3 1000 case is foam-lined, watertight, hard-sided and airtight (it floats!). It is the smallest S3 case. 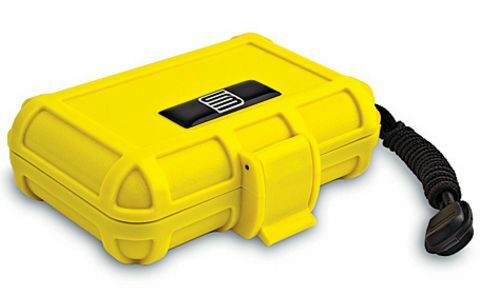 This patented drybox is designed to handle full submersions--up to 80 feet! * Clear cases are made of high-quality polycarbonate. All other colors from high impact ABS. Made in USA. NOTE: S3 1000 frosty clear cases are not lined with any foam. Inside Dimensions 3.93 " x 2.39" x 0.94"
Outside Dimensions 4.40" x 3.05" x 1.40"